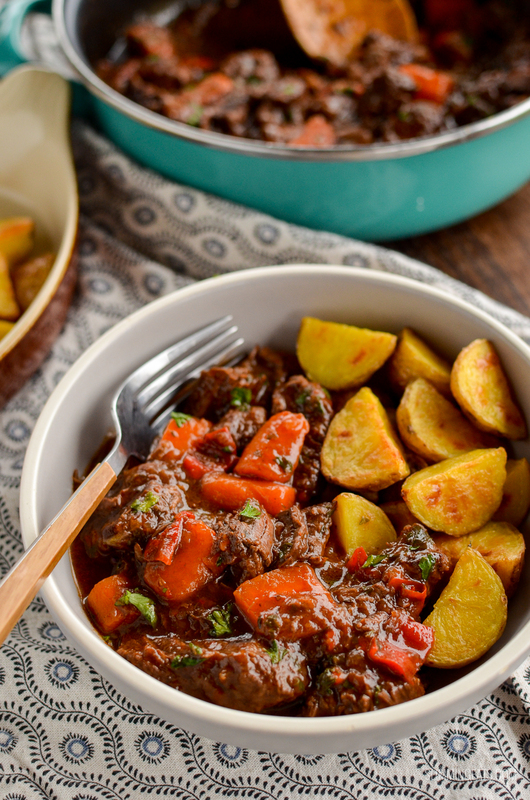 This delicious bowl of Balsamic Braised Beef is pure comfort food. 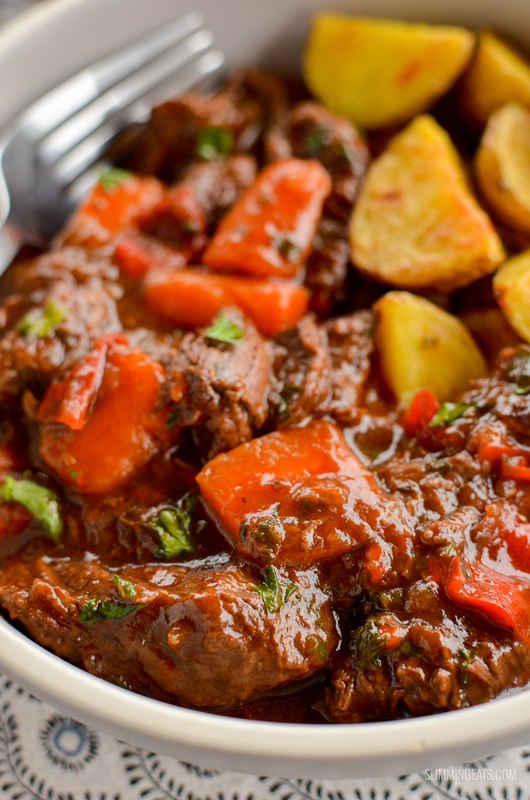 Tender chunks of beef in a tangy rich tomato sauce. This is one of my favourite meals to make in the colder months. 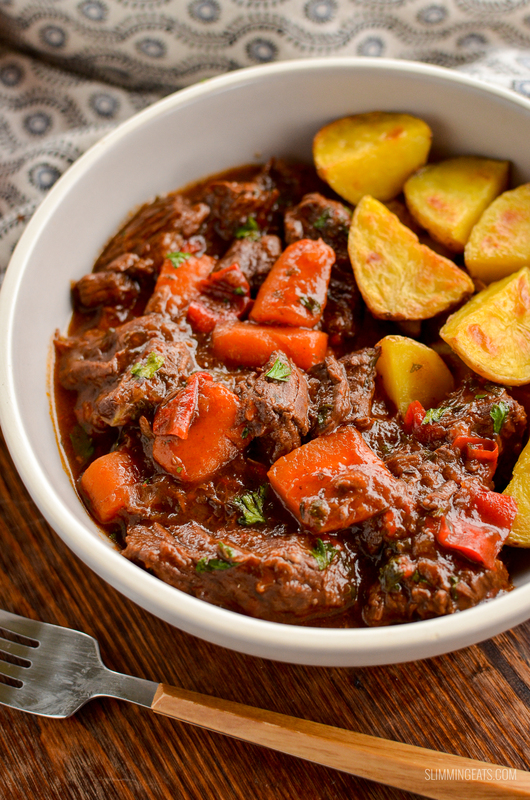 Totally effortless, it can be cooked on the stove, in a slow cooker or even an Instant Pot. Simple ingredients that don’t compromise on flavour. It’s a perfect meal for the whole family to dig in and enjoy. Roasted Yukon potatoes are super easy to make, bring to a boil in a saucepan of water, then turn off the heat leave them for a couple of mins, before you transfer to a baking tray. 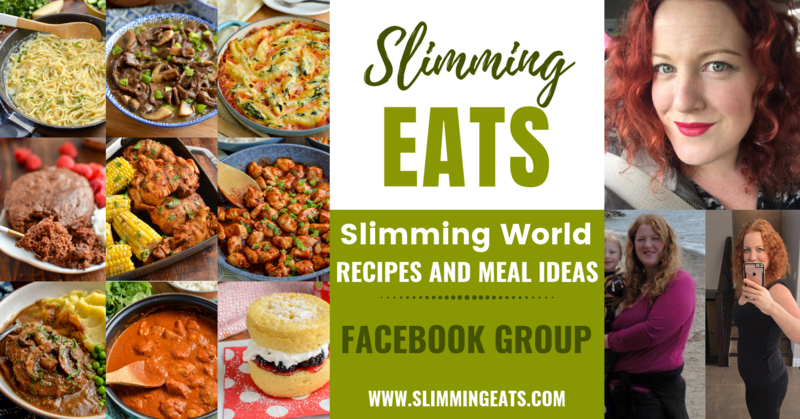 Add all the ingredients for this to my slow cooker at the start of the day and then come dinner time it’s cooked and ready – yummy!! Perfect dish for a busy day as you can prep it all in the morning. 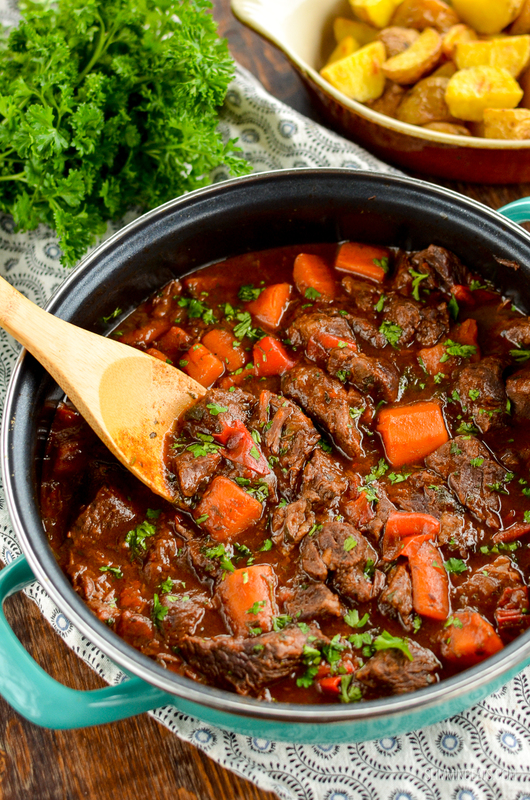 Balsamic Braised Beef, of course, can also be cooked at a fraction of the time in a pressure cooker, like an Instant Pot. Never heard of anInstant Pot? – you are seriously missing out. It is the best kitchen gadget I have purchased. I love this thing so much, that I almost use it EVERY.SINGLE.DAY. A 7in1 cooker, and it slow cooks, pressure cooks, sautes, has settings for soup, chilli, rice, porridge and even makes yoghurt (I haven’t tried that yet). 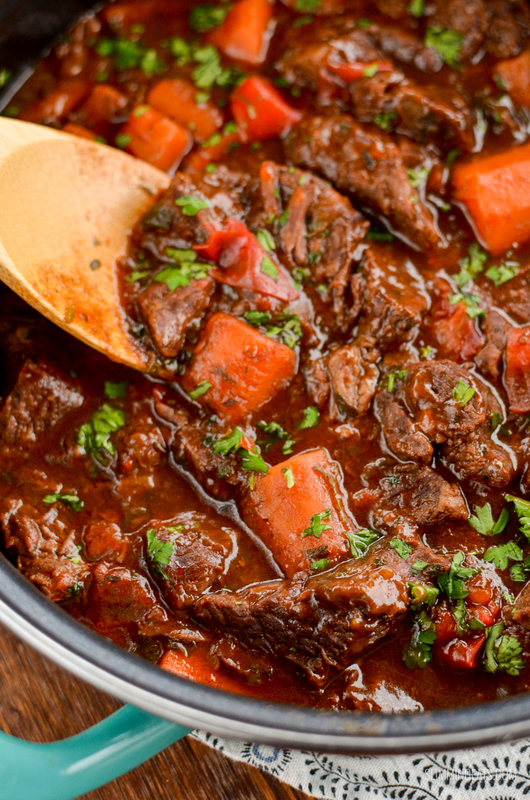 How can I add a 1/3 speed foods to this Balsamic Braised Beef? There are plenty of vegetables in this dish, such as carrots, onion and red pepper, but you can always increase the speed foods on your plate, by serving with some additional vegetables of your choice. 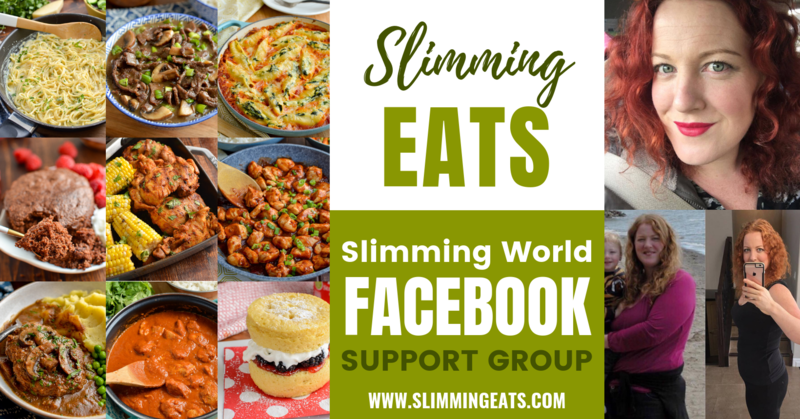 Following a Slimming World SP day? try serving this alongside one of these SP friendly sides. 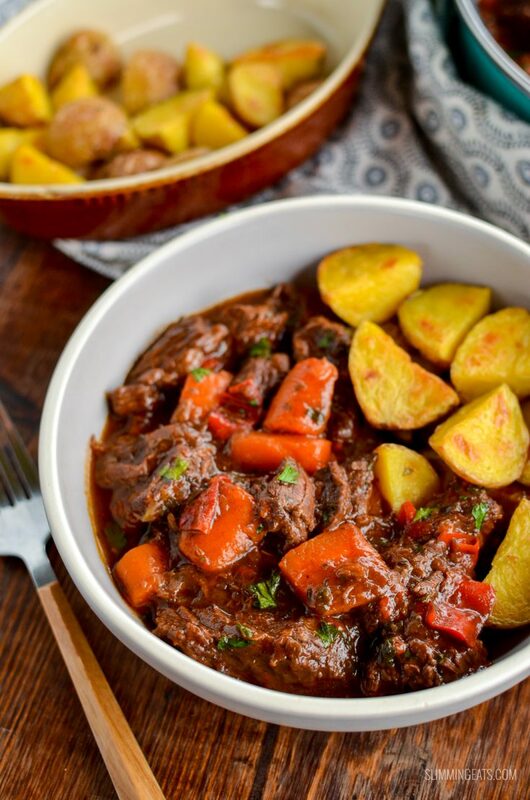 What Kitchen Items do I need to make this balsamic braised beef? Add the beef and lightly brown. Remove and set aside. Add the onions, garlic and carrots and continue to fry for a few minutes, add in a little way to deglaze pan if they stick. Add the remaining ingredients, bring to a boil and cover and simmer for approx 1.5 hours. Mix starch with a little water to make slurry and stir until thickened. Then add all ingredients to a slow cooker and cook on low for 8 hours or high for 4-6 hours. Mix starch with a little water to make slurry and stir into slow cooker. Slightly ajar lid for last 30 mins to thicken sauce. Add the onion, carrot and garlic and fry for a few mins, add in a little water to prevent sticking and to deglaze the pan. 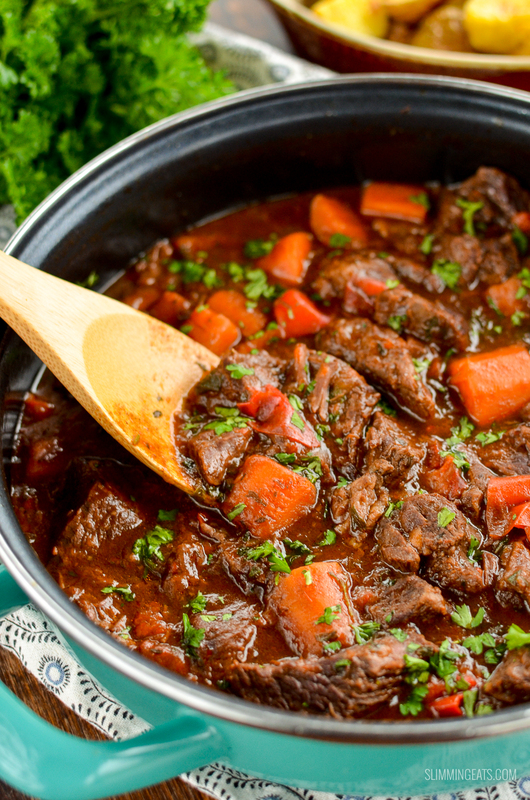 Add all ingredients into the instant pot, add lid and close valve (if not self-sealing), set to manual high pressure for 20 mins, let pressure release naturally for 10 minutes and then release any remaining pressure. Set instant pot back to saute mode, Mix starch with a little water to make slurry and stir until thickened. Absolutely lovely ! My hubby was skeptical because of the balsamic vinegar, but he loved it ! Hi, can u use sweetner instead of the brown sugar? If you prefer yes. The sugar balances out the tang of the vinegar. It might not work as well with sweetener so it’s something to bare in mind. That’s correct, it’s no longer used in thi recipe. hi could i use lamb instead of beef siobhan.by the way your recipes are very tasteful . Deliciously flavourful…..long slow cook intensifies balsamic sauce….will definitely cook again! you sure can. 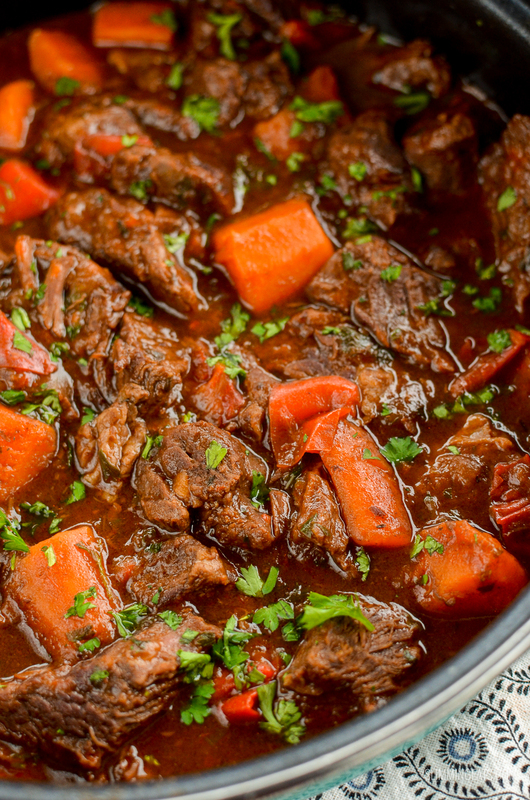 Any meat that will remain tender through slow cooking is fine. Beef is the best however for the flavours. Hi, when you say beef stock with this recipe or stock with any of your recipes, do you use an oxo cube and how many? I personally don’t use oxo. But whatever stock you chose to use it should tell you on the box or packaging how much to use for how many mls. I buy fat free stock in cartons, or make me own. That was very tasty! Went down well with all the family! Definitely a keeper.